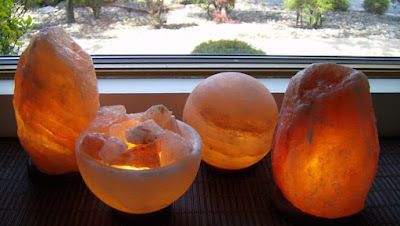 I've seen salt lamps in the past but never knew much about them. I had seen them in gift shops and in a few doctor's offices. I will admit that when my Himalayan Salt Lamp arrived, both of my kids licked it to see if they actually taste like salt. They do! They are also beautiful and unique making them perfect for any room in the house! A Salt Lamp will cleanse the air around you via natural ionization. Those interested in organic, alternative, and natural means of improving their health are especially fond of these products. They can't hurt, right?! 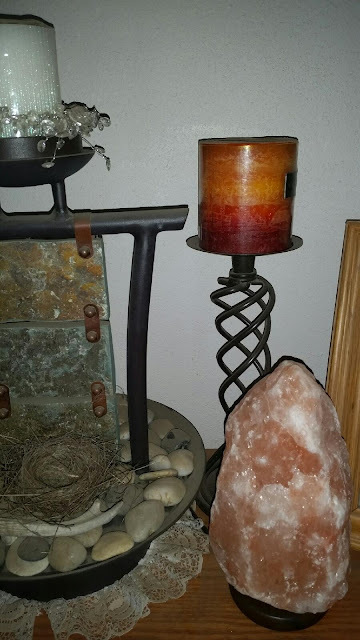 I love the warm, light glow that our new Himilayan Salt Lamp gives off in our home. It makes the perfect lamp and night light... it's soothing and relaxing! Check out these unique and natural products at www.HimalayanSaltShop.com and use promo code USFAMILY for 20% off your purchase. I have a Himalayan salt lamp, and I love it.